Appropriately chosen and sited, a sculpture can add another layer of experience to the interior or exterior space of a house. 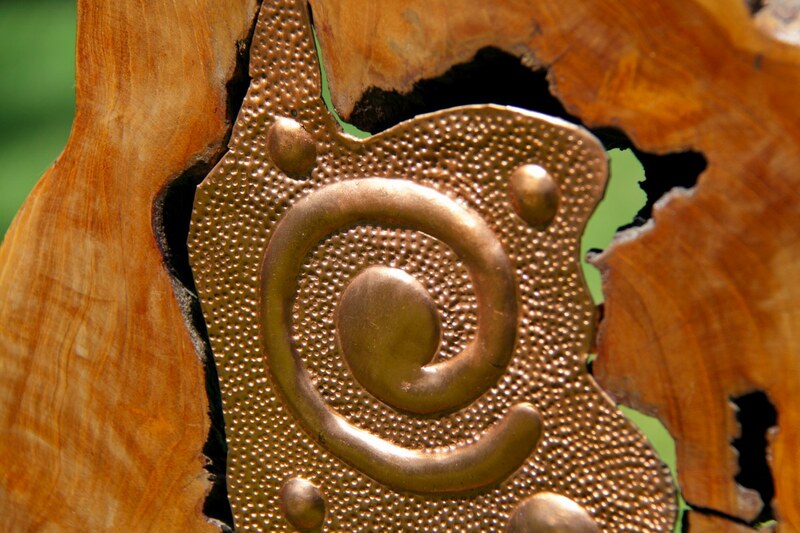 This teakwood sculpture with its solid copper inlay has rather unusual curves and contours. This adds intrigue and curiosity to an otherwise contemporary space.